Today we disembarked from the Orient Queen and drove into Athens. It’s always hard to pack and leave your cabin but we must move on. We arrived at the famous Acropolis upon which still stands the Parthenon. 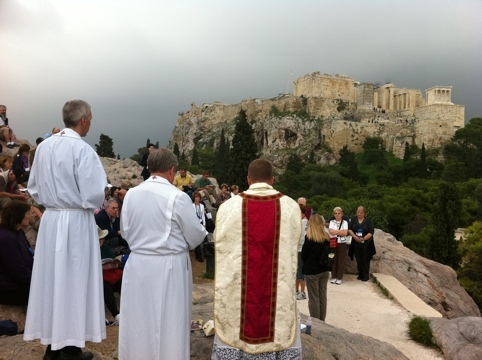 We started first with Mass on top of the rocky hilltop called Mars Hill or the Areopagus where St. Paul some to the judges of the Areopagites. 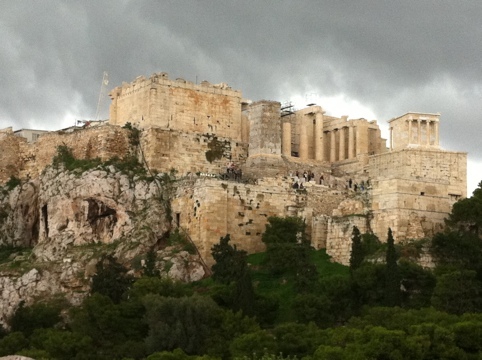 We then scrambled up the Acropolis in the rain. After that the group split into two groups: 30 going home and 40 going on to Rome. We took the bus to Patras where we boarded the Ionian Queen, an over night ferry to Pompeii. Stay tuned!